Eritrea has accused arch-rival Ethiopia of "sabre-rattling" and of threatening to invade, with the neighbours still in a tense standoff following a 1998-2000 border war. Asmara's Ministry of Information said in a statement that war-like rhetoric from Ethiopia's main party in the ruling coalition -- the Tigrayan People's Liberation Front (TPLF) -- had increased. Eritrea, which broke away from Ethiopia in 1991 after a brutal 30-year independence struggle, remains on an effective war-footing with Addis Ababa after a return to war in 1998. 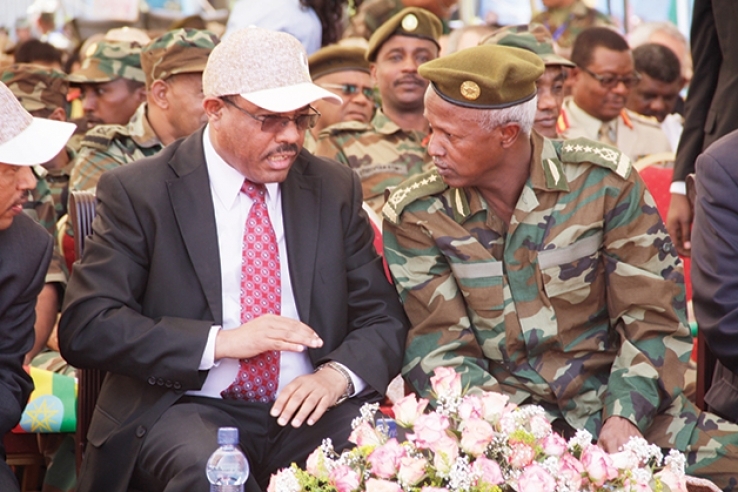 "The TPLF's sabre-rattling has been a common staple throughout winter. And this has been ratcheted up in the past few weeks," said the information ministry statement, released Monday. "The TPLF regime is resorting to tactics of covert intimidation to dissuade various circles from associating with Eritrea. It has gone beyond these hints to openly assert that, 'it has secured a green-light from the United States to unleash war against Eritrea.'" There was no immediate reaction from Ethiopia, but Addis Ababa has previously dismissed such statements as propaganda. Eritrea is struggling to stem a flood of refugees from its borders to Europe, an exodus attributed to gross human rights violations in the hermit state. Eritreans make up the third largest number of refugees trying to reach Europe, after Syrians and Afghans. Asmara however says its controversial policy of decades-long national service -- a key reason some 5,000 people flee each month -- is due to threats from Ethiopia.